Peter Schiff predicted the housing crisis in 2008. He offers his latest take on the state of today's economy, warning that a dollar crisis could be coming. Schiff talks macro, gold, bitcoin and more on the QTR Podcast. 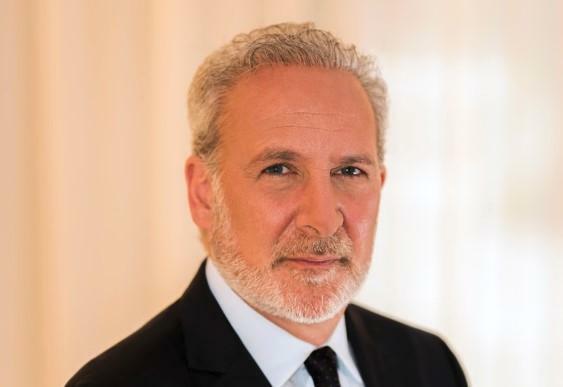 Love him or hate him, Peter Schiff's take on the economy is certainly atypical and unfortunately, these days, regarded as "outside the box". However, for those that are like-minded and those who view the macroeconomy the same way that Peter does, his opinions and voice are a breath of fresh air in a market and financial media environment that is ubiquitous with participants who constantly have a long bias, buy in to monetary policy as it is applied today and are seemingly incapable of looking at anything in the financial world with any type of skepticism. The mainstream media and Keynesian economists always generally feel like they “have it right“ while in the short term our monetary policy continues to put Band-Aids on the markets and on the economy, giving what I believe to be the false impression of actual recoveries and prosperity. Because they are "betting with the house", economists and the media often come off as correct on day-to-day market related issues, while Austrian school thinkers like Mr. Schiff are just sitting around waiting for these bubbles to collapse. Fans of Mr. Schiff argue that people should notice the fact that he was one of the only economists to predict the 2008 financial crisis. Skeptics of Mr. Schiff point out that, in between busts, as the Fed prints money and markets skyrocket, he often comes off as wrong. "What the Fed is worried about is a repeat of the 2008 financial crisis. What they don't realize is the next crisis is not going to look like the 2008 crisis," Schiff told me on my podcast. He makes the case why the dollar going up in 2008 helped the Fed bail everyone out, and why it's going to be impossible for the Fed to do the same thing when the dollar collapses during the next recession. Schiff also explains that a loss of confidence in the dollar as the world's reserve currency could see interest rates move much higher, resulting in the U.S. potentially coming close to defaulting on its debt. To subscribe to future podcasts, you can use this link to go through Podbean or this link to subscribe on the Apple iTunes store. You can also subscribe to them on YouTube.